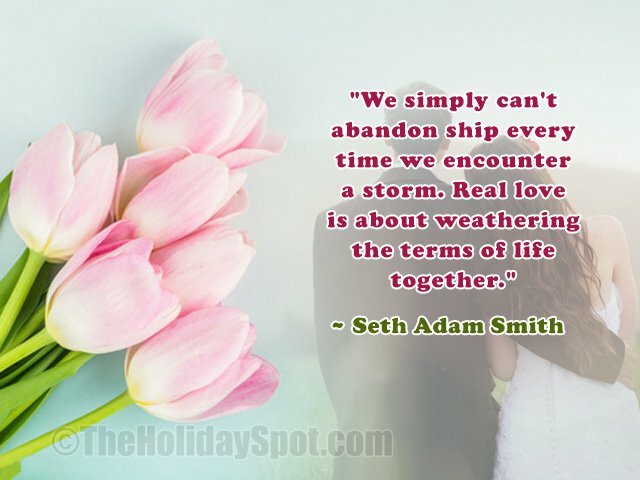 Welcome to the collection of love quotes and sayings for Valentine's Day. These timeless quotations have been doing the rounds since years, and they are as warm and heart touching as they were when they were born. Feel free to send these romantic quotes to your sweetheart on Valentines Day. You can also copy them and send them with a sweet lovely ecard for your love. "What the world really needs is more love and less paperwork." "Love is something eternal; the aspect may change, but not the essence." "Being deeply loved by someone gives you strength, while loving someone deeply gives you courage. " "True love is like little roses, sweet, fragrant in small doses." "When you know who you want to spend the rest of your life with, you want to start the rest of your life as soon as you can." 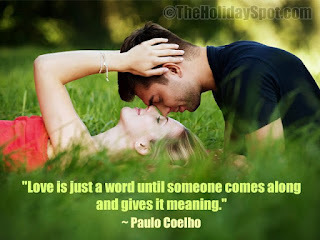 "One words frees us of all the weight and pain of life: That word is love." "It doesn’t matter who you are or what you look like, so long as somebody loves you." "Love is what makes two people sit in the middle of a bench, even if there is plenty of room at both ends." "Love is when you meet someone who tells you something new about yourself." "If every lover was treated like they matter every day, Valentine's Day wouldn’t be so special." "Valentine, just a few words to tell you how I love you. I have loved you since the first day I saw you. Whenever that was." "Love doesn’t just sit there, like a stone, it has to be made, like bread; remade all the time, made new." "When you love someone, all your saved-up wishes start coming out." "If it is your time, love will track you down like a cruise missile." "True love begins when nothing is looked for in return." "There is only one happiness in life: to love and be loved." But making the years count." 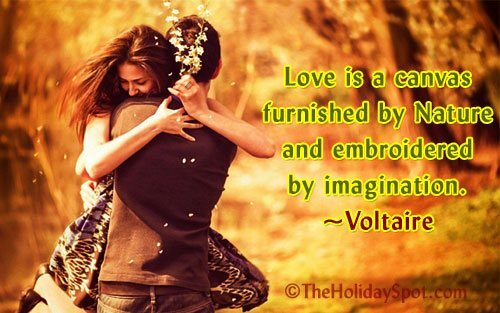 Love is what makes the ride worthwhile." "I claim there ain't another Saint as great as Valentine." "Love is a beautiful red rose given for no apparent reason." 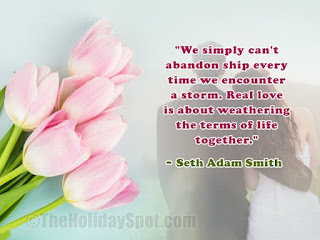 "Love withers with predictability; its very essence is surprise and amazement. To make love a prisoner of the mundane is to take its passion and lose it forever." "Love is the master key which opens the gates of happiness." It is kept in the hearts of others." 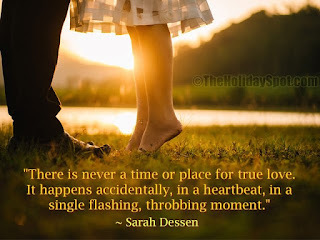 "Love is like a river, never ending as it flows, but gets greater with time!" 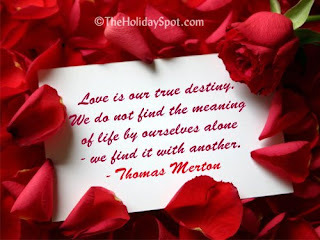 "True love is eternal, infinite, and always like itself. It is equal and pure, without violent demonstrations: it is seen with white hairs and is always young in the heart." "Love is a hard rock between two people and can't be torn apart." "Love unlocks doors and opens windows that weren't even there before." "Love is happiness given back and forth."